Our Birthday Party Packages Are Completely Customizable! Our Base Package: Includes 5 Guests (Additional Guest Are $20 Each) The Party Is Led By One Of Our Incredible Staff Members. Guests Will Be Given A Recipe(s), And Will Learn To Make Their Own Homemade Cupcakes And Have A Chance To Ice & Decorate Their Custom Creations. (2 To 4 Cupcakes Per Guest) Then Guests Will Be Broken Into Teams And Given 2 Mystery Ingredients As Well As Access To Other Bakery Pantry Items To Create One Of A Kind Creations To Be Judged**! Additional Guests: Each Additional Guest Is $20.00 Up To 20 Guests. Learn To Make Fondant Punch Flowers And Use Them To Embellish Your Cupcakes. Includes: Pizza (Sized To Guest Count), Water Or Juice, And Chips (As Well As Paper Goods). Let Us Find The Perfect Give-A-Way! Pete's Sweets Will Supply Each Child With A Professional Grade Reusable Piping Bag And Stainless Steel Piping Tip. *$20.00 for each additional child attending, up to 20 children. Give Us A Call At 413.525.6062 To Reserve Your Spot In Our Upcoming classes! Pete's Sweets Classes Require A Minimum Of Five Attendees Per Class. If Less Than Five People Sign Up, The Class May Be Cancelled. Attendees Will Be Notified Within 24 Hours Of The Class And Will Receive A Full Refund Or Apply The Credit To Another Class Date. Cancellation Policy: All Ticket Sales Are Final. No Date Transfers Available. *We Update Our Class Offerings Every Month Or So If You Don’t See A Date That Works For You Be Sure To Check Back Often! Or Feel Free To Contact Us Regarding Scheduling A Private Class. Description: Learn To Decorate Sugar Cookies Like A Pro, In This Class You Will Be Taught How To Ice, And Decorate Sugar Cookies. Learn How To Make The Perfect Icing Consistence For Techniques Like: Outlining, Flooding, & Decorating. Price Includes Class Materials And Take Home Booklet. (2 Cookie Designs). Then You Will Be Given A Box Of Mystery Ingredients Where You Will Race Against The Clock To Create A Cupcake Worthy Of Judging! Description: This Class Is A Must For Any Aspiring Cake Decorator. The Student Will Learn How To Use Our Signature Buttercream Icing, Fill, Stack, Crumb-Coat, Frost, And Decorate A Cake With Buttercream Decorations. 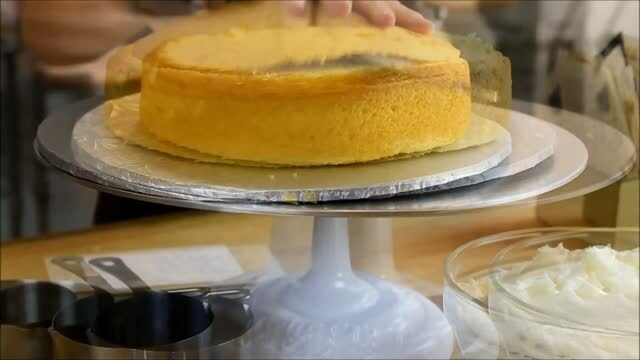 Class Is Approximately 3 Hours Long & Includes All The Necessary Supplies Needed To Create A 6″ In Diameter Cake! Pete's Sweets Reminds Everyone That We Are A Fully Functioning Kitchen That May Be In Use While Parties/Classes Take Place, We Want To Keep Our Staff As Well As Our Guests As Safe As Possible. So Please Keep These Notes In Mind Before Attending A Pete's Sweets Event. You Are Responsible For Informing Pete's Sweets Of Any Potential Food Allergies You Or Your Guests May Have, Prior To Class. You Should Be Dressed Comfortably But With Safety In Mind. No Open-Toed Shoes Are Allowed. Clothing Should Not Be Loose. Jewelry Should Not Be Worn. And Hair Should Be Pulled Back Or A Hat Should Be Worn. Children Younger Than 10 Must Have Verbal Consent To Party Host Before Attending Class. The Pete's Sweets Class(es) I Am Registering To Take With Are For The Purpose Of Learning To Bake, Which Involves Preparing And Cooking Food. Given The Common Dangers And Use Of Pete's Sweets Tools And Cooking Instruments In A Kitchen, I Agree To Hold Harmless Pete's Sweets And It's Employees, Owners, Pastry Chefs, Attorneys And Assigns, From Any And All Liability, Loss, Claim, Demand, Action Or Cause Of Action Which Arises Or May Arise Or Be Occasioned In Any Way By My Participation In Any Class/Party. I Understand That The Classes/Parties Will Involve Food Preparation And Handling And That I Am Ultimately Responsible For Maintaining The Quality Of The Food I Prepare, Cook And Eat During Any Class. I Also Understand That All Pete's Sweets Party Area Is In A Food Service Area, And Any And All Supplies/Equipment Is Not To Be Used With Out Consent Or Permission Of Pete's Sweets. I Understand That I Will Be Responsible To Pay For Any Products If I Disregard The Pete's Sweets Food Safety Code. Pete's Sweets Also Has The Right To Refuse The Admission Of Anyone Deemed Unsafe To Enter The Kitchen (Due To Injurious Or Signs Of Illness). Being A Commercial Kitchen We Take Particular Care In The Safety Of Our Guests And Customers, Any Signs Of Illness/Injury May Bring Just Cause To Refuse Service. ( Party Hosts Are Required To Pass Along This Info To Parents Of Attendees) (Side Note: Host Will Be Asked To Sign On Behalf Of All Parents) Please Call If You Or Anyone Involved Has Any Questions Pertaining To This Statement Or Any Questions Pertaining To The Pete's Sweets Class/Party Menu. Students (Or Parents Of Students Under The Age Of 18) Are Required To Abide By Pete's Sweets Food Safety Standards To Uphold To Mass/Gov. Food Laws, If Any Person(s) Do Not Abide By The Kitchen/Sanitation Rules Set Forth By Pete's Sweets And Food/Supplies Are Tainted, I Understand That Pete's Sweets Will Be Forced To Dispose Of Any Tainted Food Items (Including Supplies) At The Sole Cost Of Myself/Student/Parent. Pete's Sweets Baking Classes & Birthday Parties Are Booked On A First Come First Serve Basis. With That Being Said If A Student(s) Sign Up And That Date/Class Fills To Max, We May Have To Turn Away Other Student(s) Or Parties On Your Booked Date. For This Reason We Reserve The Right To Charge Your Credit Card Number Left On File The Full Amount (To Cover The Loss Of Materials/Time/Availability) If You Attempt To Cancel Or Do Not Show Up. A Portion Of Your Payment May Be Credited To Use In A Future Class/Party Booking At The Discretion Of Pete's Sweets Management. Pete's Sweets Also Reserves The Right To Cancel Any/All Classes/Events/Birthday Parties (With Little To No Notice) In The Event Of Inclement Weather, Proctor Illness, Or Any Other Issues On Pete's Sweets End. Pete's Sweets Reserves The Right To Offer A Future Date(s) As Part Of Our Cancellation Of An Event/Party Which Allow The Transfer Of Deposits/Payments In Full To Be Applied Without Penalties To The Patrons. Pete's Sweets Also Has The Right To Refuse The Admission Of Anyone Deemed Unsafe To Enter The Kitchen (Due To Injurious Or Signs Of Illness). Being A Commercial Kitchen We Take Particular Care In The Safety Of Our Guests And Customers, Any Signs Of Illness/Injury May Bring Just Cause To Refuse Service.